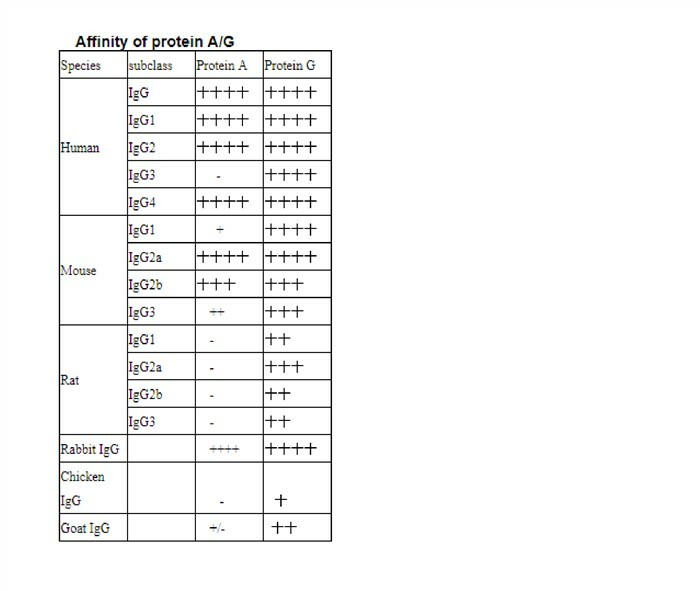 Protein A bindsmost classes and subclasses of immunoglobulins from Goat, Rabbit, Mouse and Human. Protein A beads are produced using genetically engineered form of Protein A. 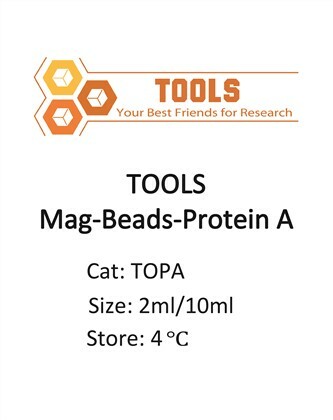 TOOLS Mag-Beads-Protein A is designed as a rapid and simple tool or immunoprecipitation, purification/ depletion assays, and other magnetic separation applications. Antibody can easily bind to the TOOLS Mag-Beads due to its’ high affinity with protein A. Via the antibody specific binding ability, the target protein along with TOOLS Mag-Beads -Protein A could be temporarily immobilized at tube wall, so the other parts in the supernatant can be removed easily and efficiently magnetic attraction.